One cool kit, two stylish city girls! Young artists can show off their design flair when they customize each shirt, top, dress and accessory, then style outfits for these two busy city girls. 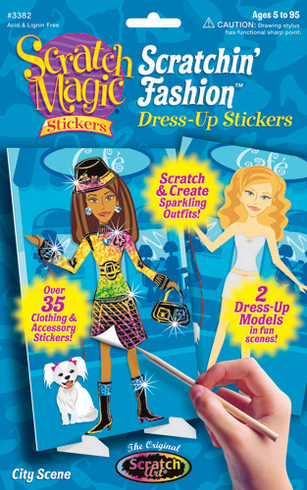 Just scratch into the stickers to add sparkling and multicolored accents to each one, then stick them onto the models--or your own drawings!